Why Did The Pentagon Rewrite Department Of Defense “Law Of War” Manual To Include Journalists? The Pentagon just rewrote the Department Of Defense Law Of War Manual to include “Unprivileged” “Belligerence” people, this places Journalists and Citizens on the same list as Terrorists. With Jade Helm taking place, militarty movement all across this nation, and now declaring war on Journalist, there is no stopping them now. They had to silence citizen journalists and take control of the internet, which they did with net neutrality and no journalists, so then can control the flow of information from those who are awake and push their own propaganda as they see fit. Basically, the New World Order is putting everything in place for their war on the people. You will comply, you will conform, if you stand behind the constutuion and excercise your constitutional rights, you will be consider an enemy combatant and you will be dealt with accordingly. If the actions of LEO’s across this country are any indication as to how this will soon unfold, one would have to conclude this is a “Take no prisoners” enemy combatant excercise. 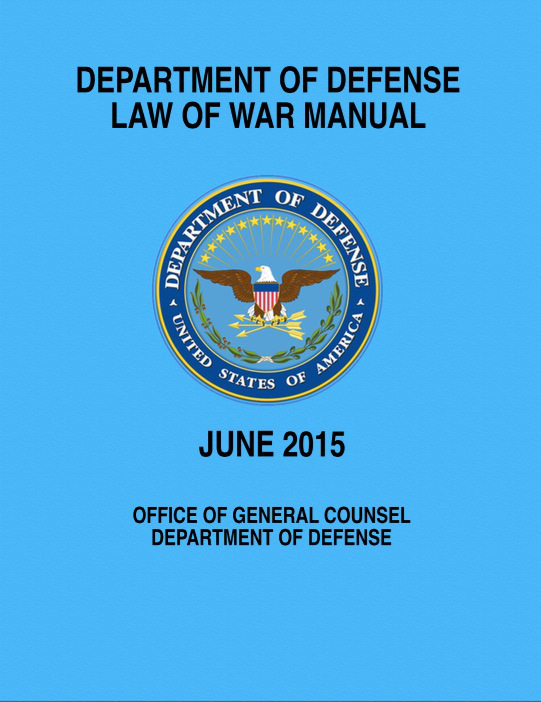 You can view the Department Of Defense Law Of War Manual Here. The new wording can be found on page 173 as the video below will walk you through what I have described. Full Story Here.